Kuala Lumpur « Where in the World are the Brills? 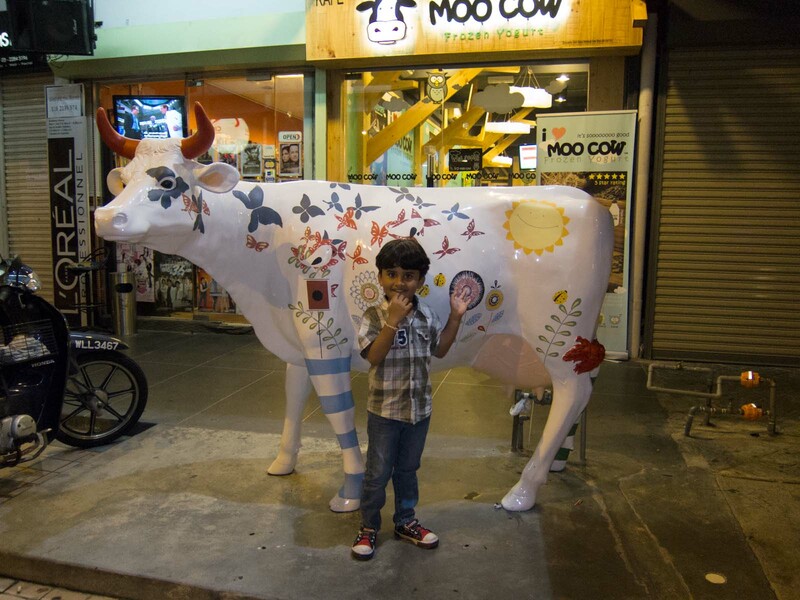 I have always found Kuala Lumpur to be a fascinating city, and I was excited for Mandy to see it for the first time. 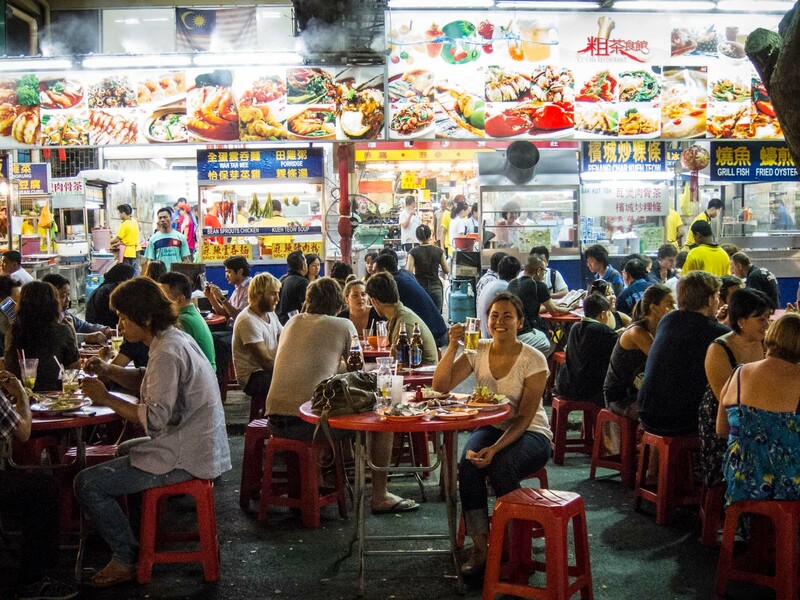 Malaysia’s diverse population of Chinese, Malay and Indian come together to form city with a wide variety of architecture, food, and customs. KL is a modern city, complete with some of the tallest sky scrapers in the world and an excellent subway system, but it is also surrounded by and integrated with the jungle. It’s not uncommon to be walking down the street and see a mosque, a Chinese temple, a glass and chrome skyscraper, and an old market all within a few blocks of each other. We also loved being able to walk from neighborhood to neighborhood and try different street food from all of the different ethnicities. 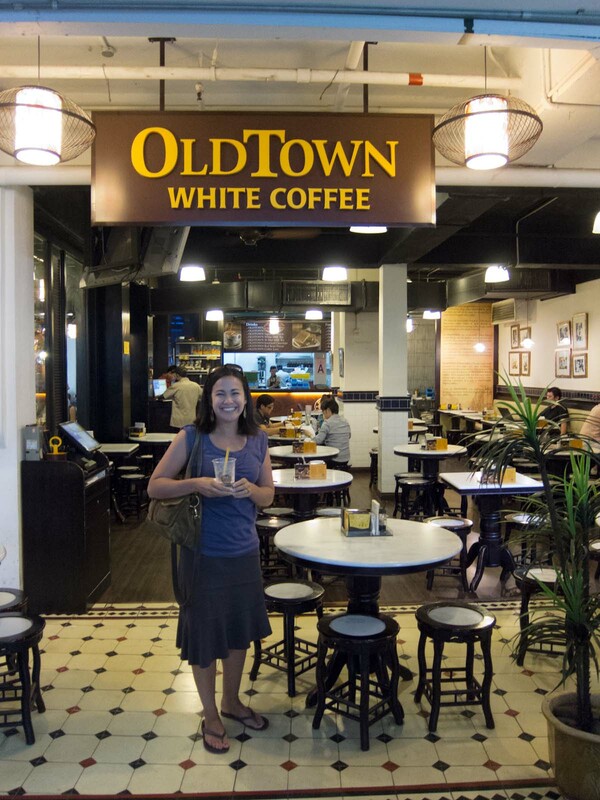 Malaysia is also the home of Old Town Coffee, one of our favorites! When Amanda’s Malaysian coworker Natalie, would head home, she would break us back some Old Town because she knew we loved it so much! But the main reason that we came to KL was to visit an old friend, Kamal Kenny. In the early 2000′s Kamal had travelled to Southern California to stay with my parents as party of a Rotary Youth Exchange program. They became good friends and when I was traveling through Asia in 2006, he hosted me. He drove me around for a few days and I met his family. He bought me my first taste of durian (the worst smelling fruit in the world), took me to eat some amazing satay, and got me some traditional Indian clothes so I could go watch a special dance performance and we also became great friends. So Mandy and I were really excited to see him again and meet his new (to me) wife and son. 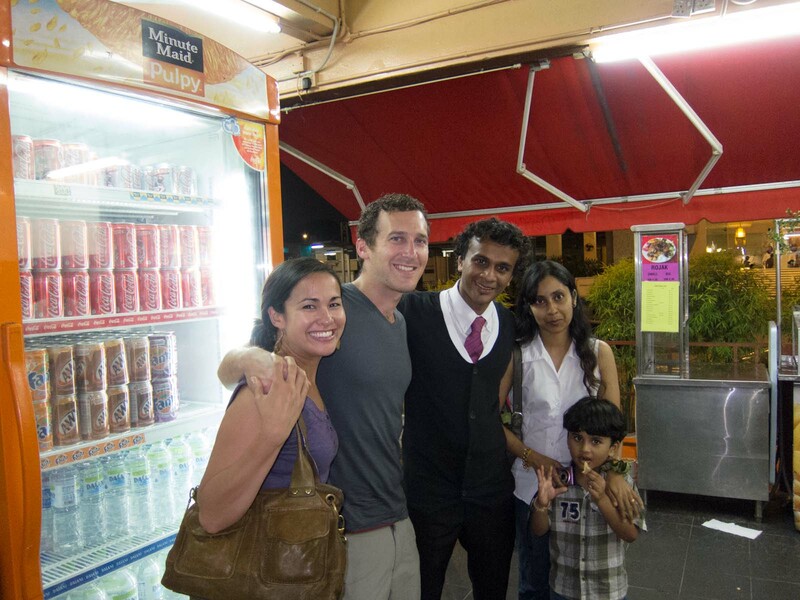 Kamal and his family met us at the subway station and then took us to a South Indian restaurant. 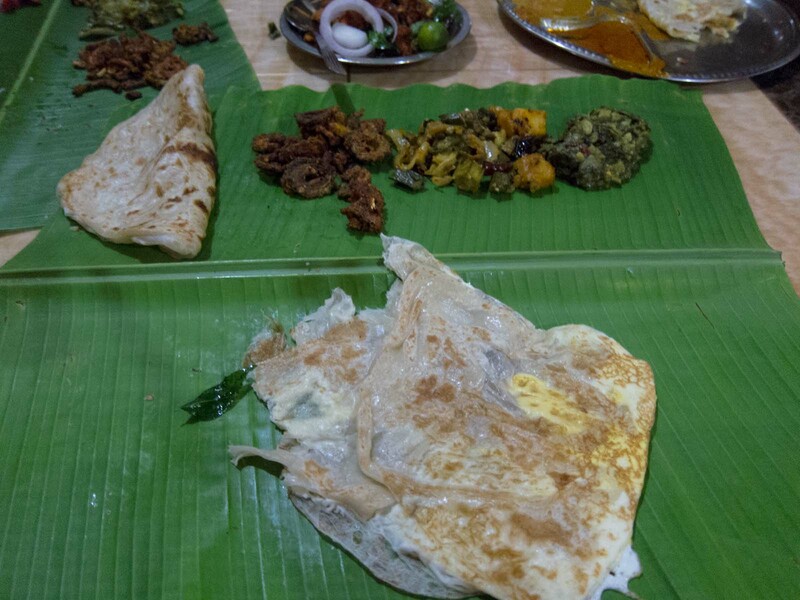 He remembered that one of my favorite dishes was roti chanai, a thick pancake like bread, served on a banana leaf with a variety of curries. You rip off a piece and use it to pick up the meat and curries, all eaten using only your right hand. The meal was delicious, and we had a great time catching up but unfortunately our visit to KL was too short. It was time to head off to Taiwan for my friend Eric’s wedding!